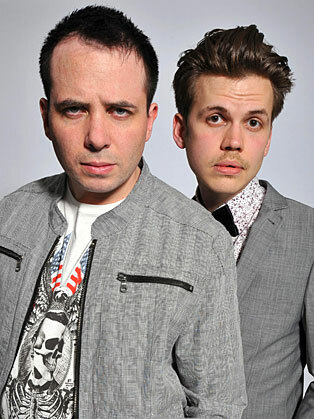 Winner of Hackney Empire New Act of the Year, the Musical Comedy Awards and the 2012 Adelaide Fringe Festival’s Best Comedy Newcomer Award, Abandoman creates hilarious freestyle songs at lightening speed based on audience suggestions. 2012 saw Abandoman support multi-platinum artist Ed Sheeran on his sell-out UK tour that culminated in two nights at London’s Brixton Academy; in February this year, Abandoman performed in Australia for the first time, where the show was nominated for the two comedy awards at the Adelaide Fringe Festival (“Best Comedy” and “Best Comedy Newcomer”) and won the latter. The show has recently appeared at festivals such as Bestival, Latitude, Altitude, Rockness, Glastonbury, Hop Farm, V Festival. They performed at the 2010 Brits after-party, Daisy Lowe’s 21st birthday party, hosted the 2012 St. Patricks Day event in Trafalgar Square and have opened for numerous comedy and music acts such as Micky Flanagan, Tommy Tiernan and DJ Yoda.